NASA’s two Gravity Recovery And Interior Laboratory (GRAIL) spacecraft have successfully ended their missions by crashing into the side of a Lunar mountain near its north pole. Ebb & Flow performed admirably during their year-long mission, prior to their destructive end at a site that was renamed in honor of an American hero. 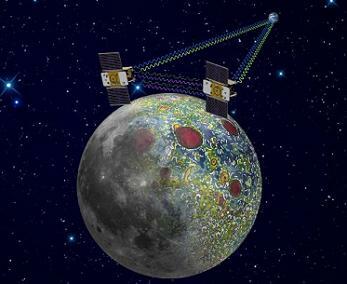 GRAIL-A and GRAIL-B achieved all of their mission goals, as they studied the moon to yield a better understanding of the internal structure and thermal evolution, allowing scientists to formulate a model of the Moon’s formation that can also be applied to terrestrial planets. The twins launched via the 150th flight of the Delta II launch vehicle, which lifted off from SLC-17B at 09:08 Eastern on September 10, 2011. 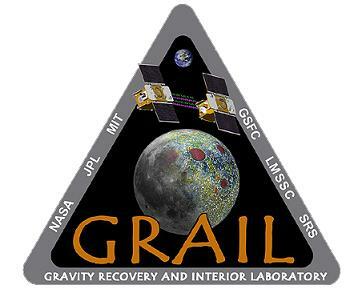 GRAIL-B achieved lunar orbit at 2:43 p.m. PST (5:43 p.m. EST) on Sunday, which completed the insertion of the spacecraft, after GRAIL-A successfully completed its burn at 2 p.m. PST (5 p.m. EST) the previous day. The insertion maneuvers placed the spacecraft into a near-polar, elliptical orbit with an orbital period of approximately 11.5 hours. 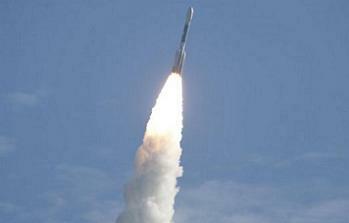 The GRAIL team executed a series of burns with each spacecraft to reduce their orbital period to just under two hours. At the start of the science phase in March 2012, the two GRAILs were in a near-polar, near-circular orbit with an altitude of about 34 miles (55 kilometers). Their demise was as successful as their mission, as the twins navigated over a ridge, prior to impacting the side of the mountain. The formation-flying duo hit the lunar surface as planned at 2:28:51 p.m. PST (5:28:51 p.m. EST) and 2:29:21 p.m. PST (5:29:21 p.m. EST) at a speed of 3,760 mph (1.7 kilometers per second). The location of the impact was on the southern face of an approximately 1.5 mile- (2.5 -kilometer) tall mountain near a crater named Goldschmidt. “The twins have endured the lunar eclipse of June 4, 2012, and 26 rocket burns since arriving in lunar orbit at the beginning of the year,” added Mr Lehman. “Down here in our control room, with all the planning and mission operations we have been doing, it feels as though we’ve been riding right along with them. Of course, they have the better view. The GRAIL mission was flown as part of NASA’s Discovery program, which was started in 1992. Discovery is a medium-class programme intended to study the Solar system. many of NASA’s recent planetary missions have been conducted as part of it. The principal scientific objectives of the GRAIL mission were to produce a map of the Moon’s lithosphere, to allow scientists to understand the Moon’s thermal evolution, and the evolution of breccia within the Moon’s crust, and to determine more details of the interior, particularly the size of the core, and the structure beneath impact basins. The two spacecraft were identical, apart from the positioning of star trackers and instruments to allow the spacecraft to fly with their antennae pointing towards each other. They were built by Lockheed Martin, based around a bus developed for the USA-165, or XSS-11, satellite; a technology demonstration spacecraft operated by NASA and the United States Air Force, which was launched in 2005. 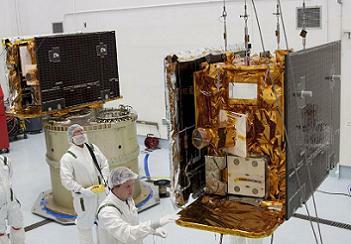 Each GRAIL spacecraft had a mass of 307 kilograms, including 106 kilograms of hydrazine fuel. The spacecraft were each equipped with two 1.9 square metre, 520-cell, solar arrays, which generated at least 700 watts of power. The solar arrays charged a 30 amp-hour lithium ion battery in each spacecraft, which was used to store power for when the spacecraft were not in sunlight. Propulsion of each spacecraft was provided by an MR-106L monopropellant engine, capable of generating 22 newtons of thrust. The spacecraft were three-axis stabilised, with reaction wheels and eight warm gas thrusters, each capable of producing 0.9 newtons of thrust, used aboard each spacecraft for attitude control. Sun and star trackers and inertial measurement units allowed the spacecraft to determine their orientation. The spacecraft carried avionics systems which were derived from those developed for the Mars Reconnaissance Orbiter, which was launched in 2005. Each spacecraft carried two transponders operating in the IEEE S band (NATO E band), which was used to relay data to the ground and to upload commands to the spacecraft. A further S band transponder, the Time-Transfer Assembly, was used to transmit signals between the spacecraft to synchronise their onboard chronometers. Two IEEE X band (NATO I or J band) transponders, the Radio Science Beacon, was used to transmit signals to Earth for Doppler ranging. Finally an IEEE Ka band (NATO K band) transponder, the Microwave Assembly, was utilized to find the distance between the two spacecraft, and track their relative motion. The Ka band transponder formed part of the Lunar Gravity Ranging System or LGRS, which was GRAIL’s primary instrument. LGRS consisted of four elements; the Ultra-Stable Oscillator, or USO, and was used to generate an oscillating signal to synchronise the instruments. This signal was transmitted through both the Microwave Assembly (MWA) and Time-Transfer Assembly (TTA) antennae. TTA broadcasted the signal as a ranging code, similar to those transmitted by Global Positioning Satellites. The data was collected by the Gravity Recovery Processor Assembly, or GPA, which processed it for transmission back to Earth. 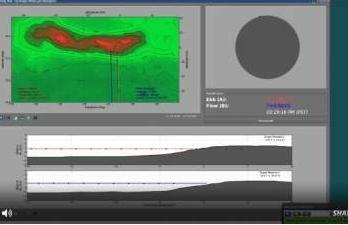 “The data collected during GRAIL’s primary mission team are currently being analyzed and hold the promise of producing a gravity field map of extraordinary quality and resolution,” said Maria Zuber, principal investigator for GRAIL from the Massachusetts Institute of Technology in Cambridge. LGRS was derived from the K-Band Ranging (KBR) instrument aboard the Gravity Recovery And Climate Experiment, or GRACE, spacecraft, which were launched in March 2002. GRACE, like GRAIL, consisted of two spacecraft using radio signals to map the gravitational field, however it was studying Earth’s gravitational field instead of the Moon’s. The two spacecraft also carried the Moon Knowledge Acquired by Middle school students, or MoonKAM, student outreach payload. This was used to image areas of the Moon at the request of schoolchildren. A similar programme for Earth imagery, EarthKAM, has been operated aboard the International Space Station since 2001 and also flown on Space Shuttle missions STS-89 and STS-99. A prototype, KidSat, was also flown on STS-76, STS-81 and STS-86. And the impact area was named after a former Shuttle astronaut, as the late Sally Ride was honored for her role in educational outreach. “Sally was all about getting the job done, whether it be in exploring space, inspiring the next generation, or helping make the GRAIL mission the resounding success it is today,” said GRAIL principal investigator Maria Zuber of the Massachusetts Institute of Technology in Cambridge. (Images via ULA and NASA).